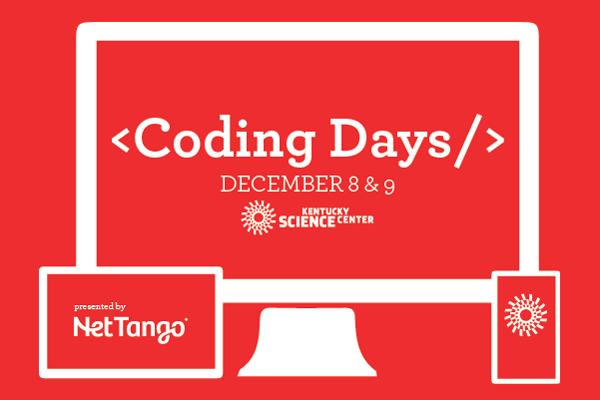 Kentucky Science Center’s Coding Days on December 8th and 9th invites guests to learn the “language that powers the world!” Visitors can expect to gain a broader understanding of the impact of coding on our everyday lives. Like other STEM career days, such as Advanced Manufacturing and Brain Days, Coding Days will see Kentucky Science Center’s exhibit halls filled with themed activities presented by the Science Center and their partners. Yum Brands, Net Tango, Humana, Code Louisville and GE will all be onsite to provide unique experiences for guests, including speed mentoring for students, virtual reality experiences, maker activities, and coding challenges.